Willowdale Subaru | Blog | Subaru VIZIV Performance STI Concept” and “STI Performance” models showcase STI’s expertise on enhancing driving performance. Subaru VIZIV Performance STI Concept” and “STI Performance” models showcase STI’s expertise on enhancing driving performance. Tokyo, January 10, 2018 – Subaru Corporation, together with Subaru Tecnica International Inc. (STI)*1, announced its exhibition at the upcoming Tokyo Auto Salon 2018, which will be held January 12th to 14th, 2018 at the Makuhari Messe in Chiba prefecture. 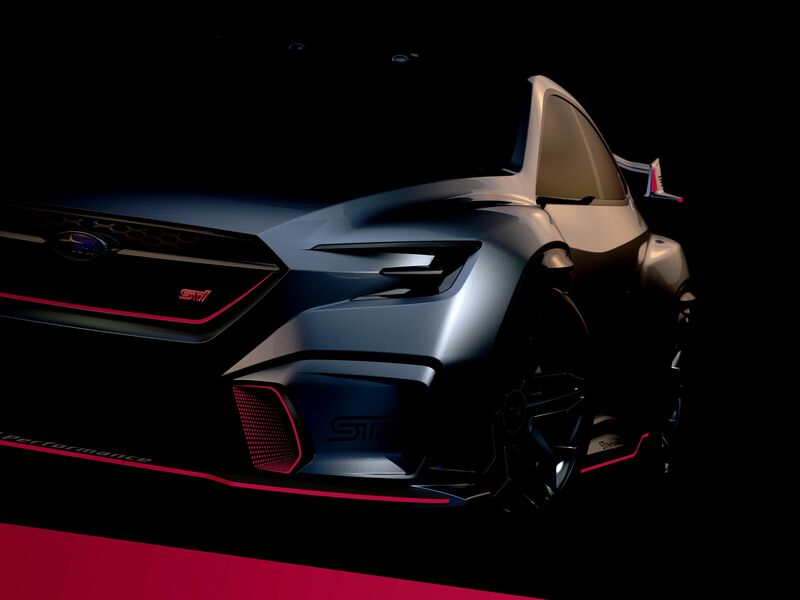 At the Subaru booth will be “Subaru VIZIV Performance STI Concept” *2 which embodies the brand’s vision for the future of making cars that deliver Enjoyment and Peace of Mind to its customers. “Subaru Levorg STI Sport -STI Performance-” and “Subaru BRZ STI Sport -STI Performance-” equipped with STI performance parts will also be shown. As for racing cars, the “WRX STI NBR Challenge 2016” for 24 Hours Nürburgring endurance race and the “Subaru BRZ GT300 2017” for Super GT race will be exhibited.